Tom Meyer, the Bible Memory Man (as we call him), spoke in front of the Answers in Genesis staff recently. During our staff meeting, Tom alternated between the book of Hebrews and the Old Testament as he recited Scriptures that deal with the great heroes of the faith. Tom has memorized many whole books of Scripture—one year he spoke all 22 chapters of Revelation for our museum guests, taking about one hour to complete. He has also recited Genesis 1–11 for us from memory. Tom speaking to our staff last month. 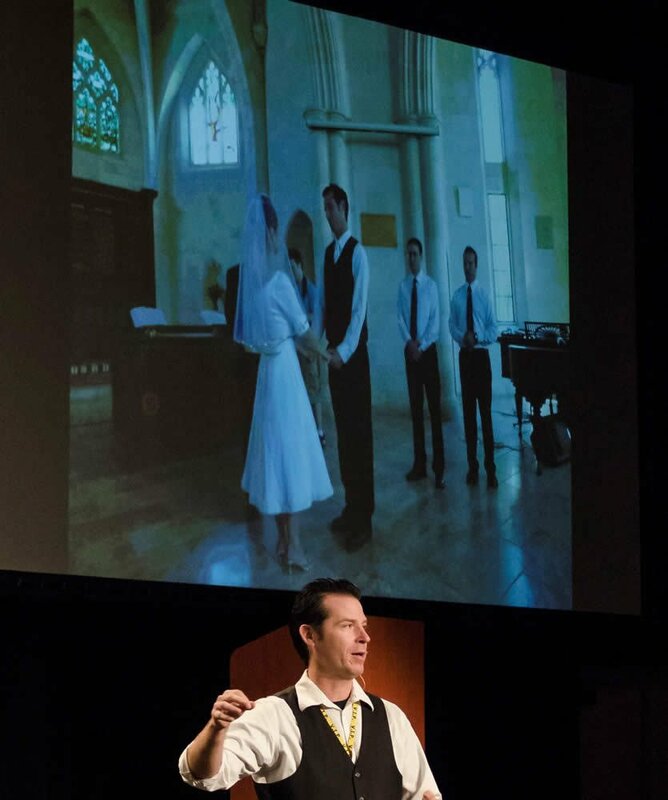 Tom with a photo of his wedding on the screen behind him. I wrote about Tom a few years ago on this blog and showed one of his wedding photos. Tom married Sarah in Israel in 2011, in a Jerusalem church. He “popped the question” to Sarah on the previous Christmas Eve in Bethlehem—quite a romantic guy! A couple of our staff members first heard Tom recite Scripture during a 2009 AiG tour of Israel. The group sat mesmerized as Tom spoke the entire book of Revelation from memory. Since then, Tom has visited our museum every year to bless us with God’s Word as he shares it from memory. For most of the year, Tom is based in Northern California where he teaches at Shasta Bible College. In the summer he and his growing family (three daughters now) travel around America to present the Bible. We have already written about Tom’s unique ministry—see, for example, our magazine article, “Becoming a Living, Breathing Bible.” He shared with us that it takes him about one month to memorize a typical chapter of the Bible. Now since he doesn’t have a photographic memory, he will spend many hours every month to learn just one chapter. 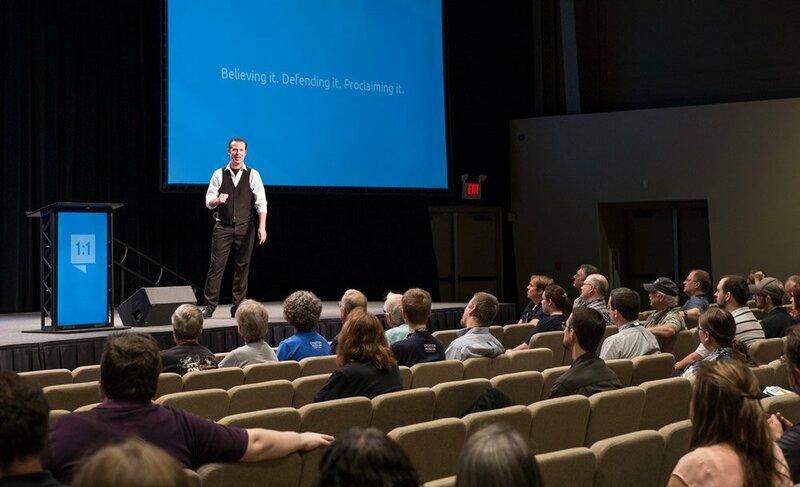 Think about hosting Tom for your church or group—it will be a blessing. Learn more on his website. Previous Article Are Pastors and Christian Leaders Equipped to Fight the Culture War? Next Article A Remarkable Place!